Diana Berman is an assistant professor of Materials Science and Engineering. She arrived on our campus in Fall 2016, after completing four years as a post-doctoral researcher at Argonne National Laboratory. Her research involves the design of nanomaterials and understanding their properties, mechanical, optical, and electronic. Dr. Berman is specifically interested in the tribological performance of materials, such as nanoscale contact evolution, the interaction of the material with the environment, and macroscale friction and wear of sliding systems. Her recent work has led to the development of corrosion and wear-resistant anti-reflective coatings that may improve energy efficiency and visual appearance of hand-held devices such as cell phones. Professor Berman’s work is attracting broad acclaim - she was chosen for the 2017 Ralph E. Powe Junior Faculty Enhancement Award by Oak Ridge Associated Universities, a consortium of 121 American research universities. 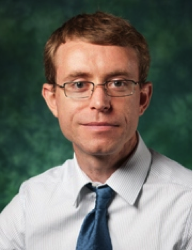 Professor Berman actively promotes the field of tribology in research and education among UNT students and faculty. In February 2017, she has organized the first Tribology Workshop and Poster presentation for UNT undergraduate and graduate students. Part of the experience involved industry experts coming to our campus to serve as judges in a student poster competition. The university-industry bonds that are forged are leading to summer internship opportunities for our students. Invitations to the workshop are already extended to faculty and students at UTA, and Professor Berman intends to expand future workshops to include UTD and SMU. Justin Lavacek, a faculty member at UNT since 2012, is Senior Lecturer in the College of Music’s Division of Music History, Theory, and Ethnomusicology. He tells his students that he is not their teacher; instead, the composer being studied is. He sees his role in the educational process as something like that of a matchmaker, connecting students with the music. He believes that the details about music theory, though important, are not what students will retain. They will instead retain the connection with the music. In 2016 Professor Lavacek received the Mozart Society of America’s Emerson Publication Award for an article he published that explored the layout and harmonics of recitatives, interludes in an opera during which the singer adopts the rhythms of ordinary speech. A recitative is closer to conversational speech that is sung than to a formalized musical composition. His paper identified a sort of formula – several key parts of the way Mozart assembled recitatives – that could be used today to construct a recitative that would be so much like those actually written by Mozart that it would fool even experts. Prof. Lavacek also enjoys barbershop quartets and founded one called Fourth Wheel as an undergraduate. 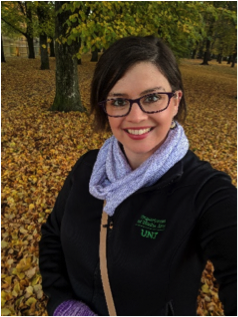 Jacqueline Vickery, Jacqueline Vickery, Assistant Professor in the Department of Media Arts, joined UNT’s faculty in 2012. Her passion is understanding how digital tools can expand equitable opportunities for marginalized communities. Her recent book, Worried About the Wrong Things: Youth Risk, and Opportunity in the Digital World (2017, MIT Press), argues that privileged understandings of risk limit young people’s media engagement, literacy, and opportunities. She also works with teens in foster care at Denton’s Cumberland Presbyterian Children’s Home. This has involved creating a summer digital storytelling workshop for these teens on UNT’s campus. After a two-week training period led by Dr. Vickery, UNT students are paired with teens from Cumberland to produce a series of short films. This project allows teens in care to tell their stories as a way to help people understand their experiences as foster youth. This project also helps these teens understand that college is a possibility for them. 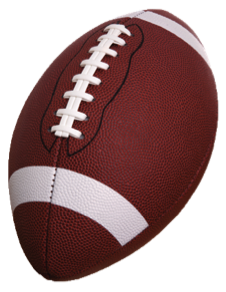 This week we celebrate homecoming, culminating with a football game at 4 p.m. on Nov. 11, 2017. Come on out and cheer on the ever-exciting Mean Green, already bowl-eligible with three games yet to play. There’s fun before the game, too. Provost Jennifer Cowley invites you to drop by and chat at the Provost’s Tailgate from noon – 3 p.m. There will be a petting zoo for kids and all sorts of giveaways. Look for us on the hill just northeast of Apogee Stadium! Student Perceptions of Teaching (SPOT) is the student evaluation system for UNT. This semester, SPOT opens on Nov. 20 and closes on Dec. 7. The faculty portal can be located at https://unt.iasystem.org/faculty. Please encourage your students to participate in this important exercise. For more information, please visit the SPOT website or email spot@unt.edu. UNT is an institutional member of the National Center for Faculty Development and Diversity. This is an external mentoring community that helps faculty, staff, and graduate students become more productive (and happier) scholars and educators. Among many other resources are more than one hundred webinars on topics including tips on increasing one’s writing productivity, advice on writing successful grant proposals, managing family needs with the demands of academic life, strategies for successful salary negotiations, among many others. These resources are available at no cost to faculty. Learn how to register here. UNT faculty members have access to Lynda.com, an online learning platform. This remarkable resource is a library of thousands of video tutorials, taught by industry experts, and is available to faculty, staff and students, covering topics on technical, creative and business skills. Many faculty members have used this resource in their teaching – Lynda courses can be accessed from within Blackboard Learn or Canvas. One also may find Lynda helpful in professional development, with opportunities to learn about software, technology and data analytics, and much more. New videos are added each week to include fresh content that will help keep skills current. UNT students and employees have 24/7 access to these top quality courses and can access them from campus, home or mobile devices. For more information and to login to LyndaCampus, visit https://it.unt.edu/lynda, click Lynda.com sign in, and then enter your UNT EUID and password. For assistance in integrating Lynda.com with Blackboard Learn or Canvas, contact the UNT CLEAR Faculty Helpdesk by phone at 940-369-7394, or by email at clearhelp@unt.edu. 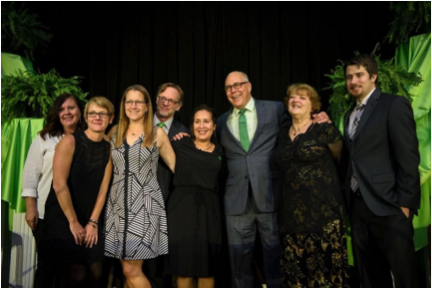 We celebrated UNT’s world-class faculty at the annual Salute to Faculty Excellence on Oct. 20. Please take a moment to send a note of congratulations to this year’s faculty award-winners, and to colleagues who have been promoted or who have earned tenure. Click here to enjoy some photographs of SFE 2017. Congratulations to Miriam Boesch of Educational Psychology, winner of October's giveaway! To help you look your very best at your holiday parties, this month’s giveaway is your choice of a scarf or a necktie in UNT’s tartan pattern. UNT faculty members who register by Nov. 30, 2017, will be entered into this drawing.